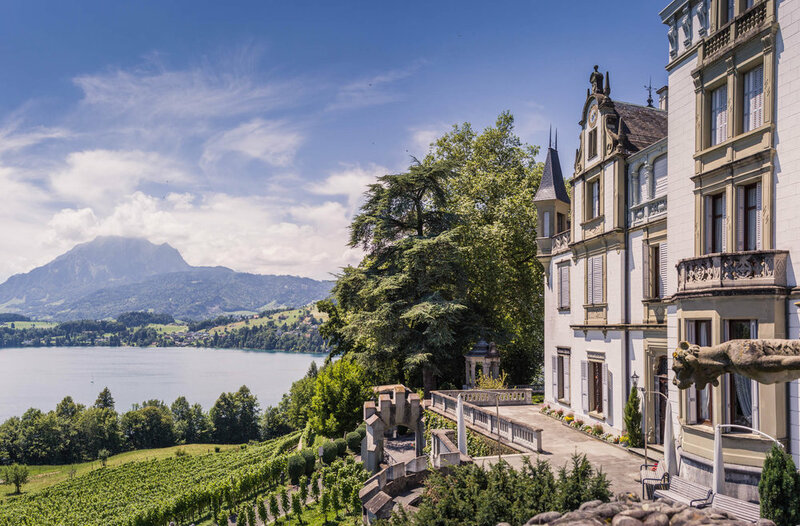 An an unparalleled view of the alps and lake Lucerne. Finding this castle is easy and when you arrive you can either park at the gate and walk to the castle or drive through the gate and park almost next to the castle. As you approach the view of the castle is blocked by a slop so the moment you arrive at the main entrance you'll be amazed at the garden and the building itself. 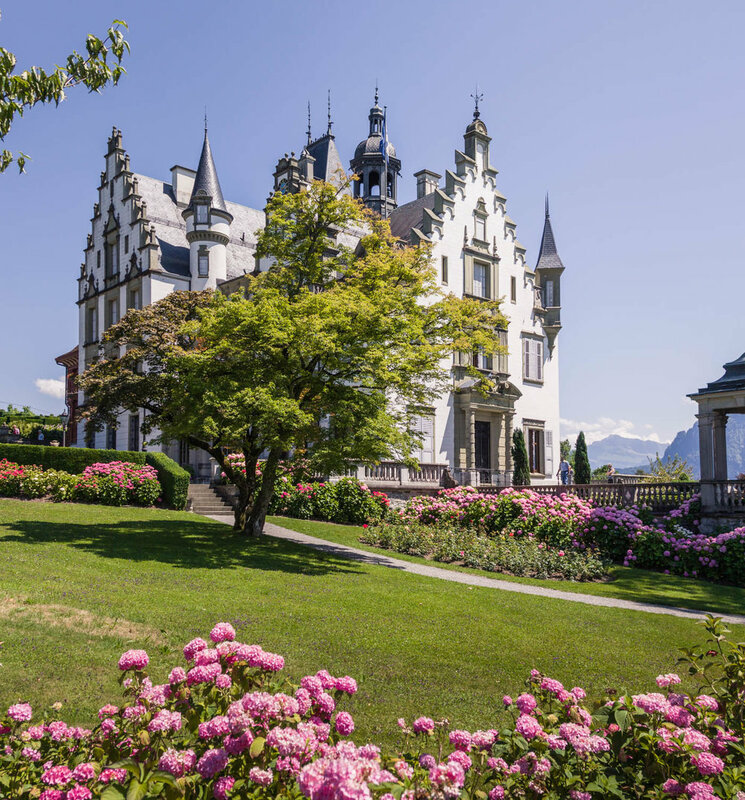 The Meggenhorn castle and its gardens are positioned on a hillside on a peninsula south of Lucerne. 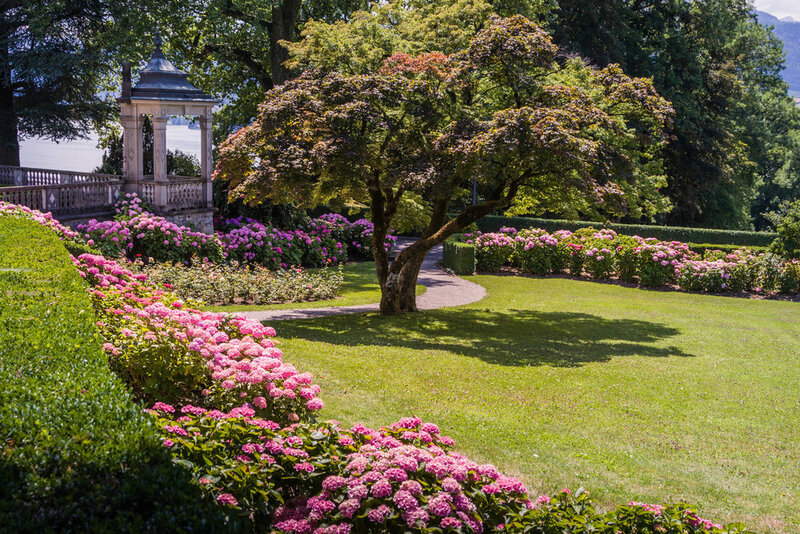 It was inspired by Châteaux Chambord in the Loire Valley France and the grounds are open to the public since 1974. The castle overlooks a vineyard and is a popular place for picnicking with access to the lake for swimming. There is also a family playground with farm animals that children can see close up. 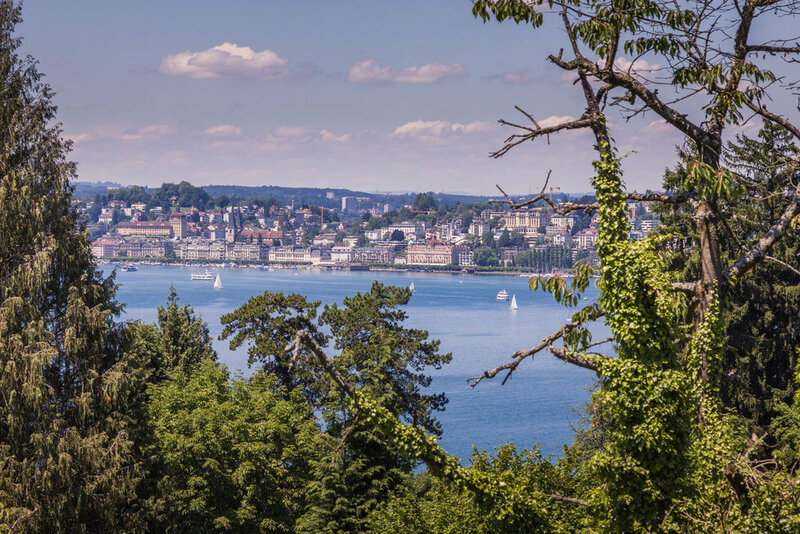 The castles view extends in over a 180° arc from the city of Lucerne, Pilatus and Rigi. 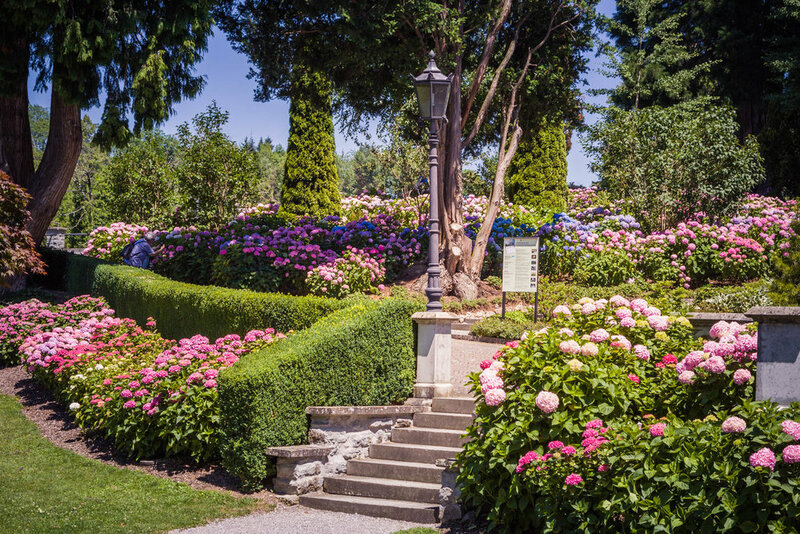 On the ridge behind the castle there's a wonderful garden that you can walk through and see the breath taking views of lake and the alps. This castle is very romantic and you can walk around the whole building. There's a path leading down to the lake and a a family playground with animals. The view looking up towards the castle is also very beautiful. 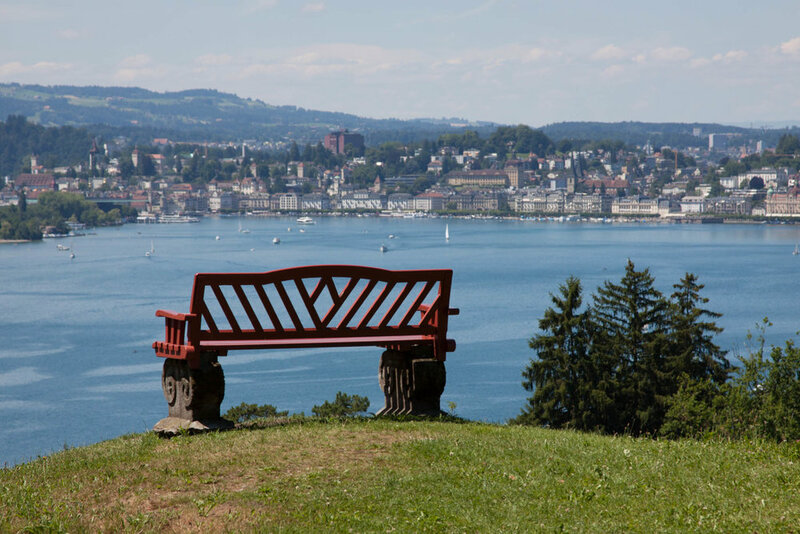 There's a wonderful park bench at the top of the ridge with a spectacular view of the city of Lucerne. The private living quarters of the former inhabitants can be visited every Sunday afternoon from April to October. I didn't visit the living quarters but when the next opportunity comes I will definitely do this. This castle is breathtaking and very romantic. Well worth the trip! 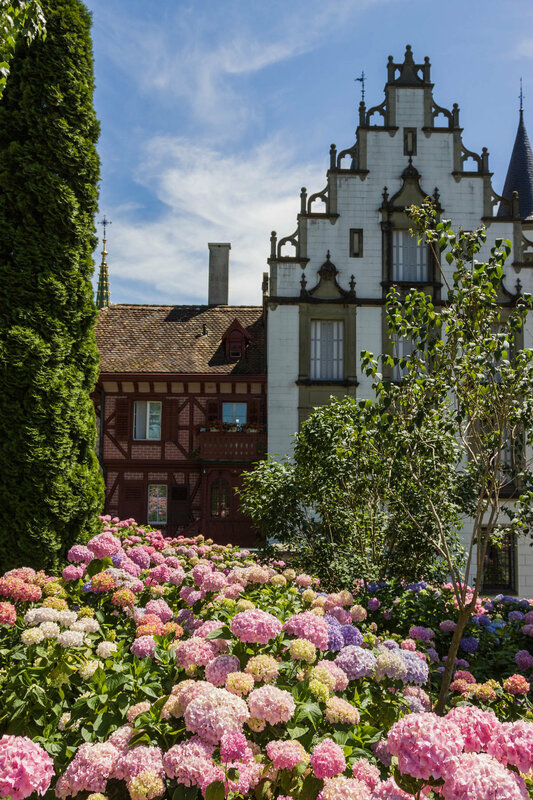 The castle in its present form was built in 1868/70 by order of the large industrialist Edouad Hofer-Grosjean from Mulhouse. In 1886 Countess Amélie Heine-Kohn bought the castle and built the neo-gothic chapel. 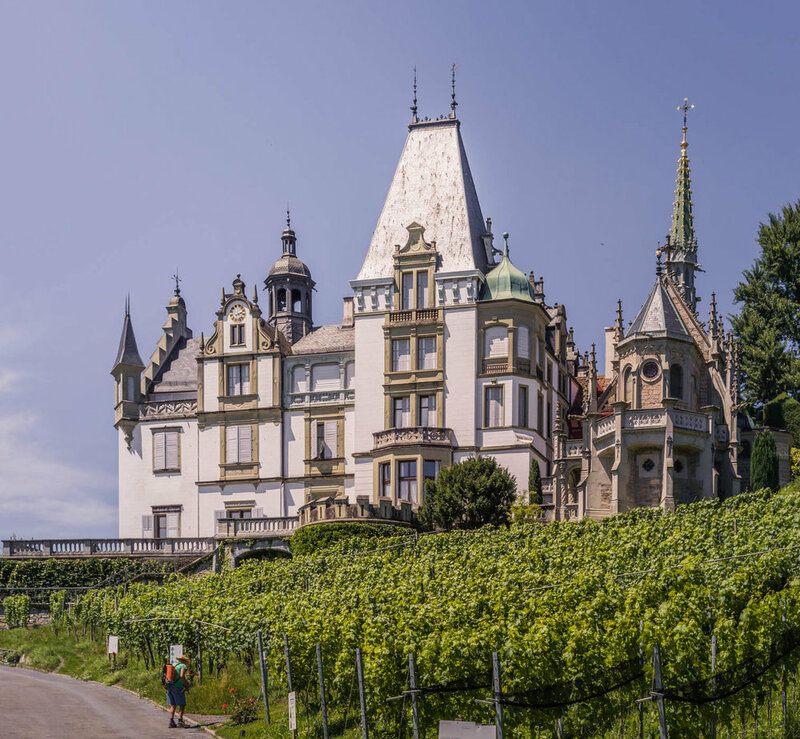 In 1920, Zurich industrial textile builder Jakob Heinrich Frey-Baumann acquired the property; After the death of the parents 1960 the two daughters inherited the castle Meggenhorn. In 1974 the property passed into the possession of the municipality.